For the first time in many years, the country has a single rate of Corporation Tax. The main rate of Corporation Tax has been cut by 1% taking it down to 20% applicable to the financial year which began on 1st April 2015. Many companies will no longer be the need to consider the impact of ‘marginal rate of tax’ brought about by the application of ‘marginal relief’ in relation to profits in between £300,000 and £1.5 million. The single rate of Corporation Tax also removes the need for determining whether a company is small and therefore taxed at a different rate to the main rate. 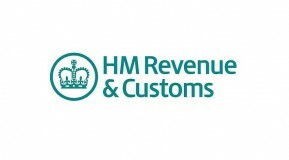 For those who are looking to set up a business, and depending on the type of business and how much they are expected to earn, retaining profits in a company will mean that less tax will need to be paid than if the profits had been earned by the owner as a higher or additional rate tax-paying sole trader, partner or member of a limited liability partnership. If you are looking for financial advice, why not get in touch? Maybe you’re looking for an approved accountant, we may be able to help..